Canada is a world-class destination with low crime rate, high standard of living and excellent career prospects. Every year thousands of individuals across the globe migrate to Canada to get fascinated with its picturesque atmosphere, outstanding landscapes, waterfalls, multicultural environment and natural vegetation. Planning for Canada immigration? Then gain knowledge on the stringent and ever changing visa options and programs of the country. 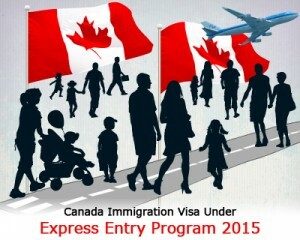 Citizenship and Immigration Canada (CIC) has all set to launch a new program called Canada Express Entry System for skilled workers who possess special skills and abilities. This is new version of expression of interest, where an individual has to create a profile by uploading all his or her credentials for hassle-free immigration to their dream destination. Reportedly the immigration minister of Canada, Chris Alexander noted that, this new scheme will open doors for individuals who possess special skills from across the globe to work and thrive for the development of country’s economy. Express entry is a new selection system for Canada migration, which is designed to select skilled workers from overseas nations across World. Individuals willing to relocate to this beautiful nation for employement or for higher education have to obtain a visa for Canada Immigration. If you are enthusiastic to make Canada as your abode, then you must be aware of the requirements to apply for it. This is an exciting program for skilled workers of overseas nations. The new program involves many improvements like greater accessibility, quicker processing time and no occupation list. Thus to thrive in this peaceful nation, one has to meet all the requirements that are listed above.